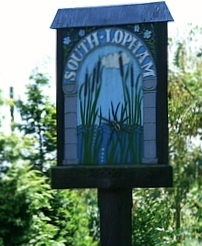 A vacancy has arisen on South Lopham Parish Council sadly due to the death of one of the current councillors. We are seeking a resident of the Parish who would like to make a contribution to the community by being a member of the Parish Council. In accordance with electoral rules, a Formal Notice of Vacancy dated 11 November 2016 has been posted on the Parish Noticeboard and here on the website. A formal election may be triggered by 10 or more registered electors requesting an election to the electoral services Returning Officer at Breckland District Council, otherwise the Parish Council will seek to fill the vacancy by co-option of any interested parties.